Good morning, dear friends! Days go by quickly and Sunday is so close. Anxiety about the marathon I am running on that day makes my heart beat quickly! I hope everything will be ok, I hope I will enjoy the race and write a jubilant post about my experience nex week! I am a huge pesto fan, basil is one of my favourite herbs! 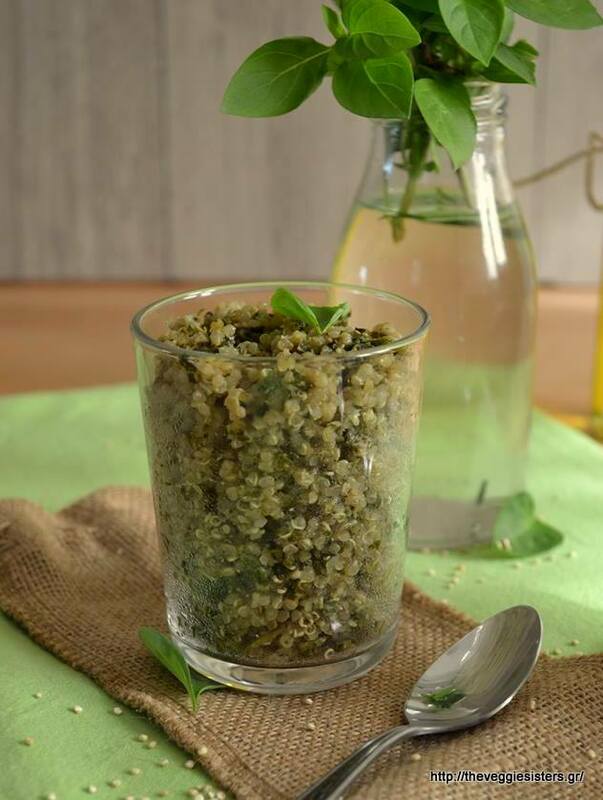 When you combine quinoa with pesto you got a fragrant, yummy and nutritious salad/appetizer that I am sure you will love! You have to try it! The winners of the giveaway are: Theofano Toulia, Eva Utopia, Katsikonouri Christina, Ioanna Dimopoulou and Aggeliki Kalemi! Well done, lucky ladies! I hope you enjoy your gifts by Arigata Publishing! I will contact you so that you receive your books! Kisses and hugs! Happy weekend, friends! In a blender pulse all the ingredients except for quinoa until well combined. 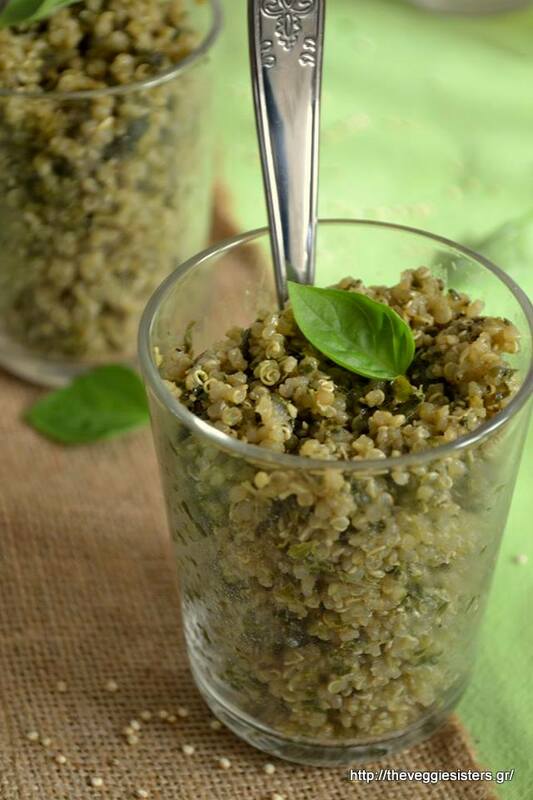 In a bowl place quinoa and combine it with the pesto. Stir well. Serve in a platter as a salad or in small glasses as an appetizer. Enjoy! 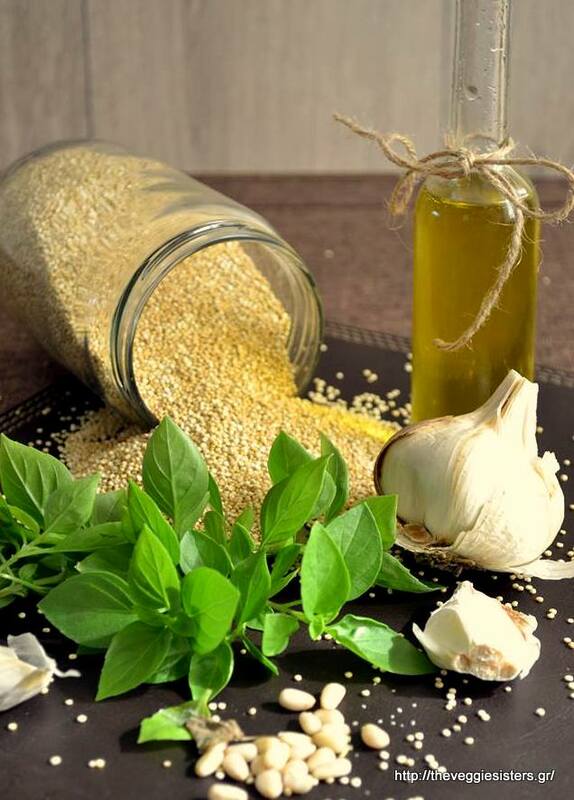 Share the post "Quinoa al pesto"